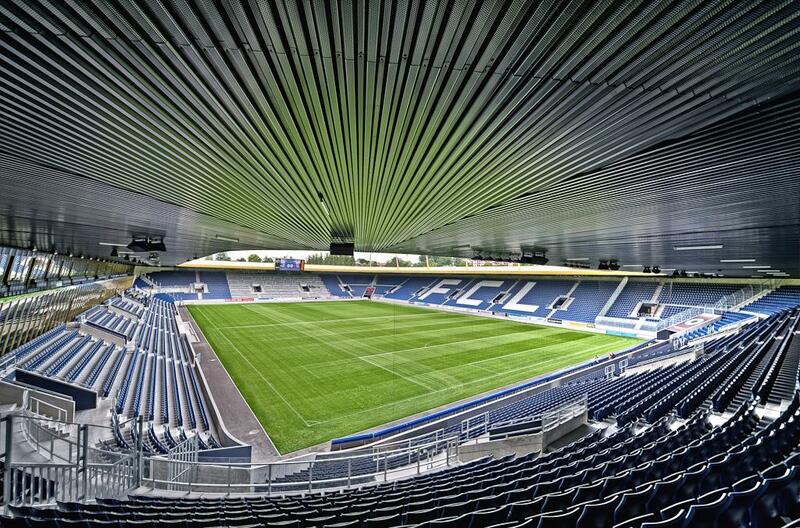 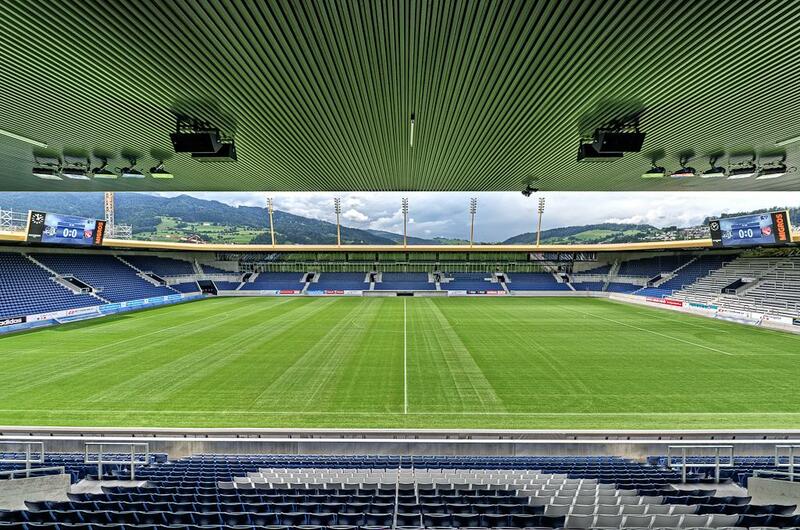 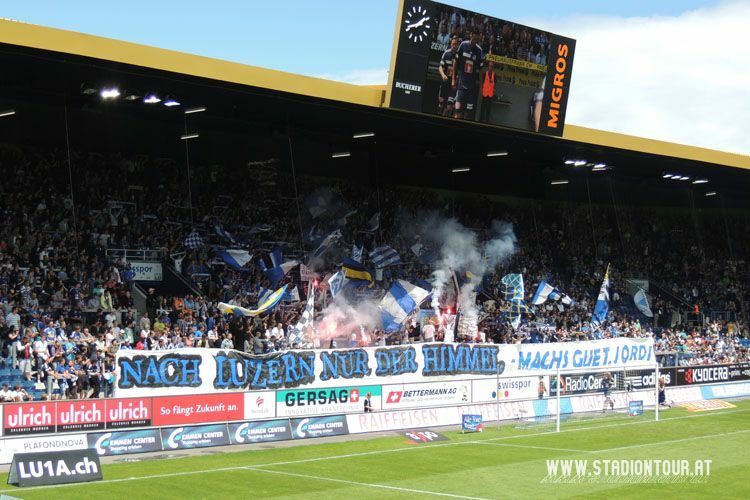 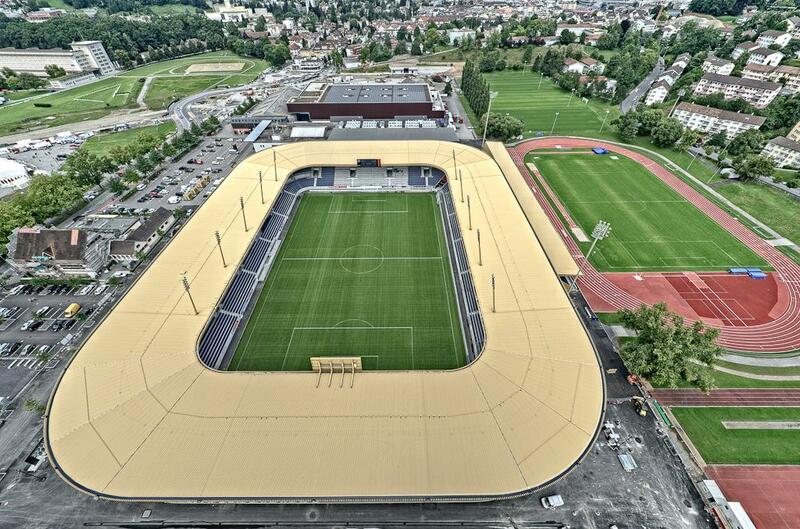 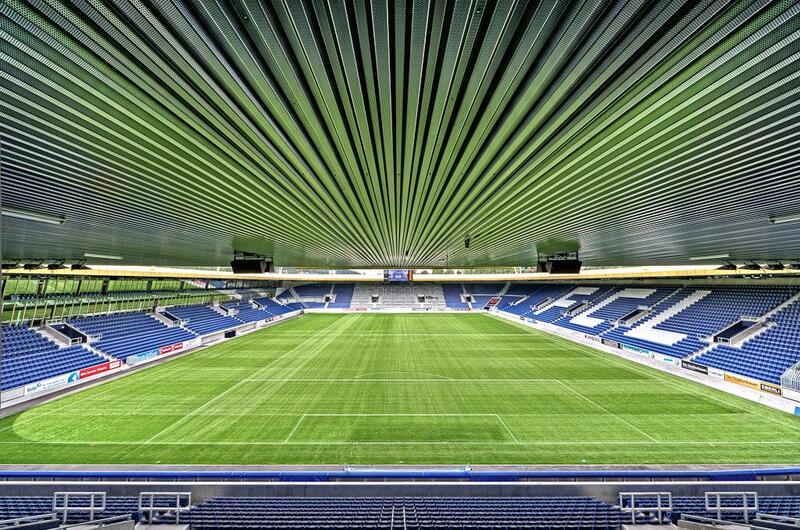 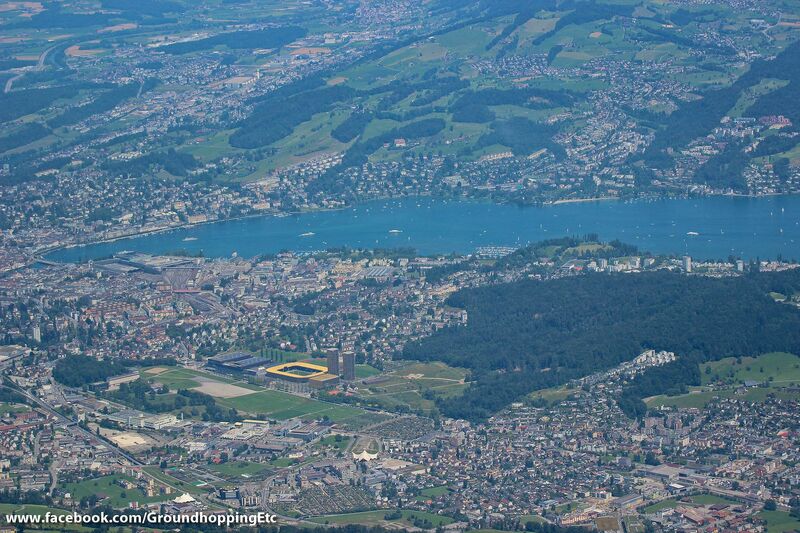 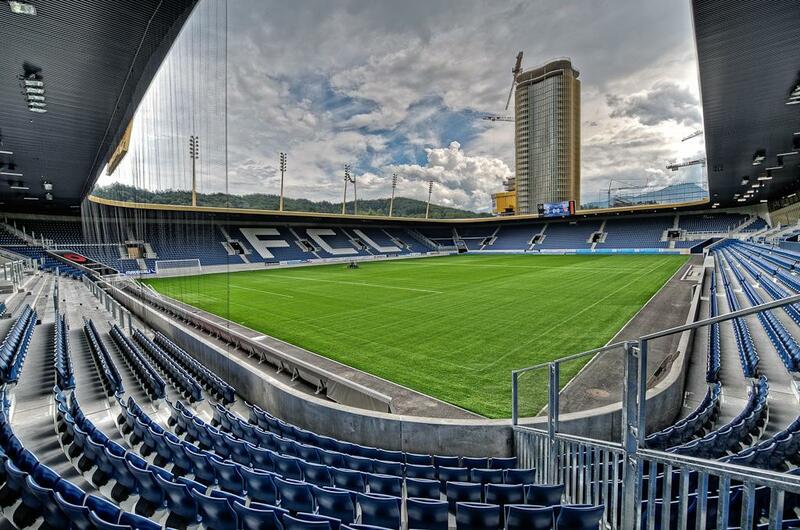 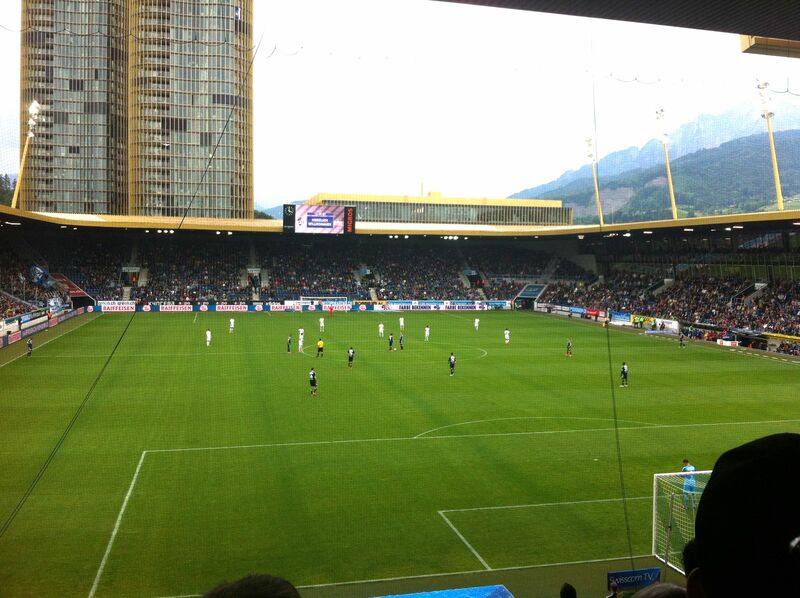 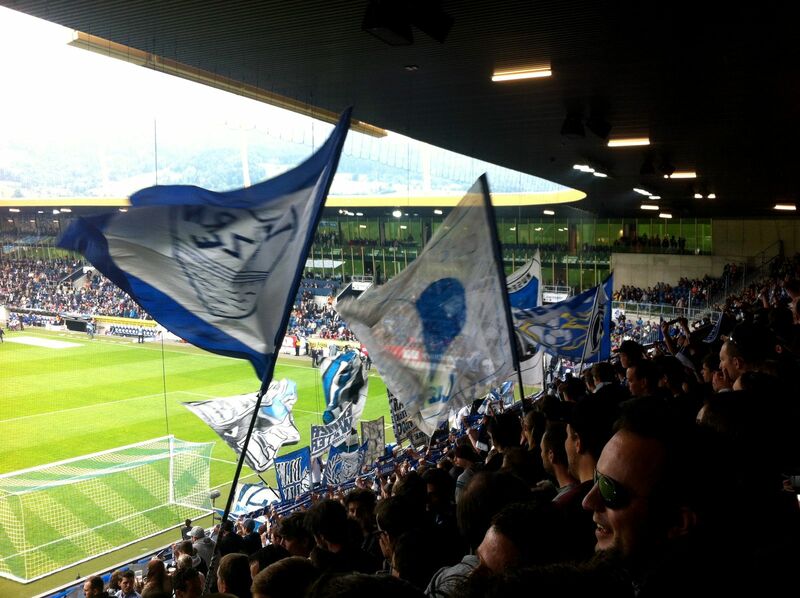 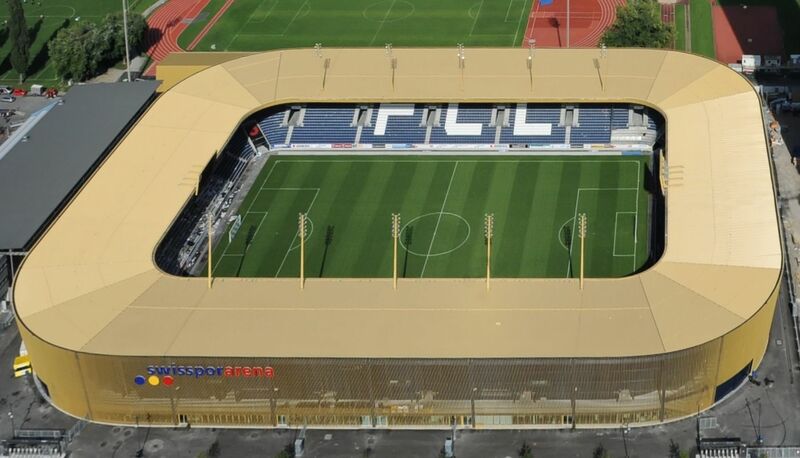 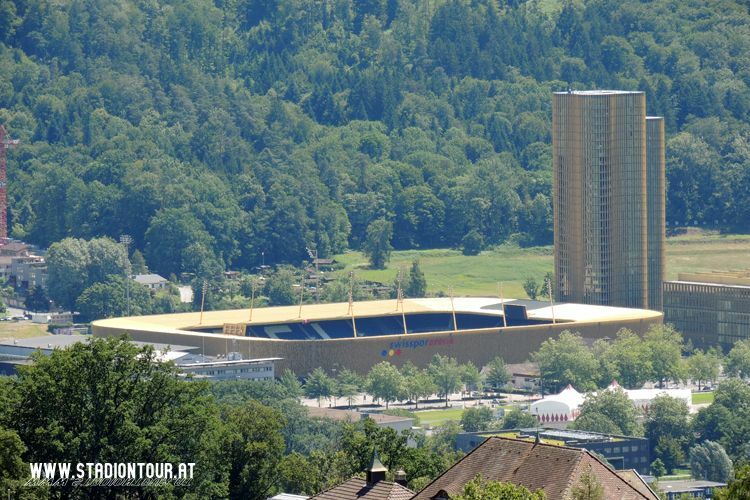 In 2011, while celebrating its centenary, FC Luzern had the chance to open the new ground. 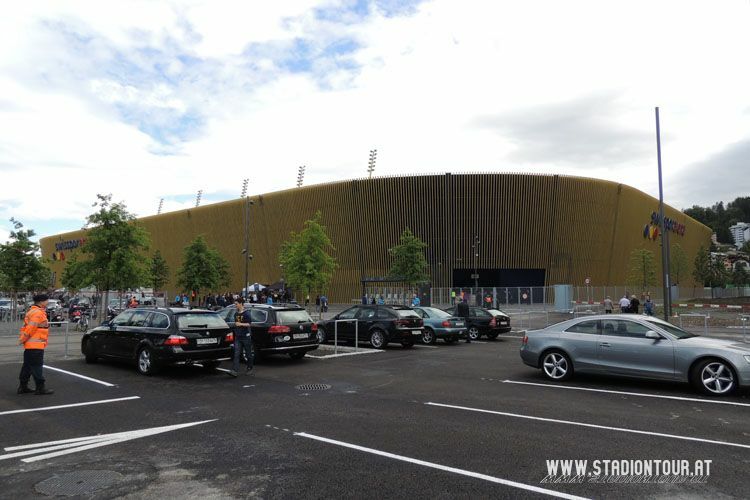 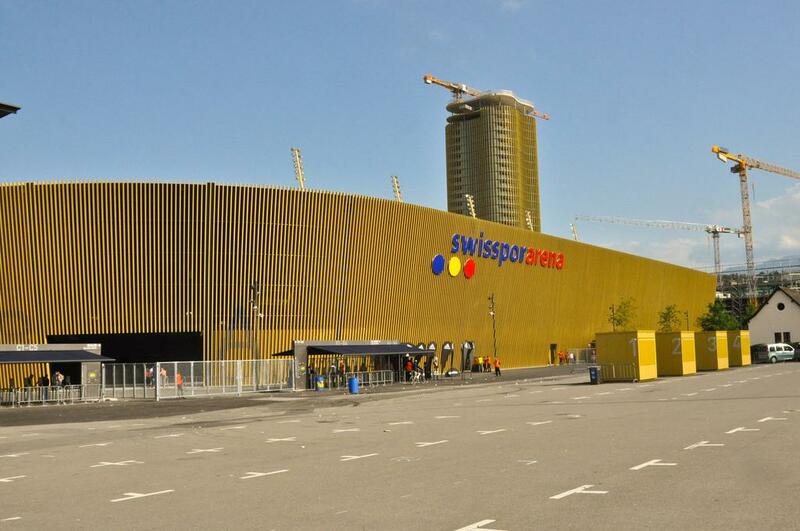 Replacing the old, but very popular Stadion Allmend was the swissporarena, named that as part of naming rights deal with club's prominent sponsor. 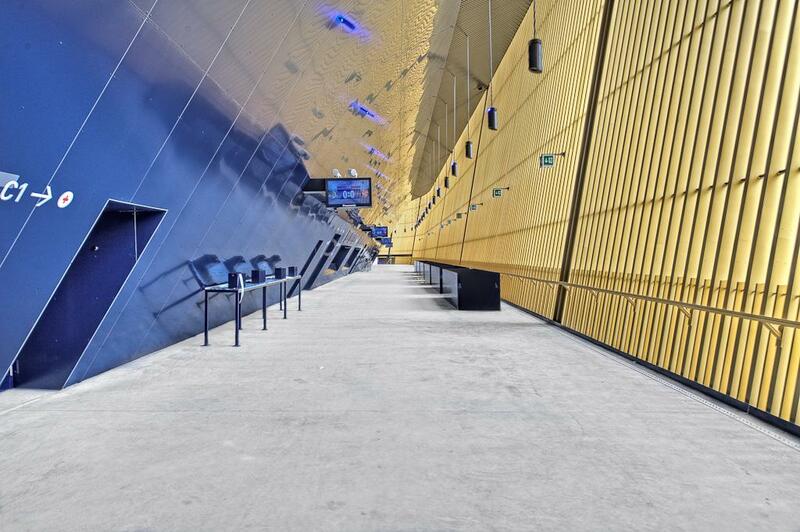 Venue worth app. 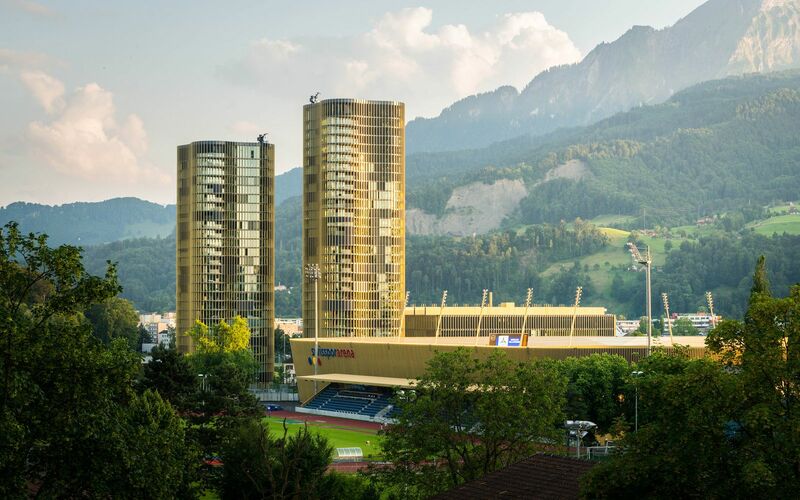 CHF80 mln has been designed by Daniel Marques and Iwan Bühler. 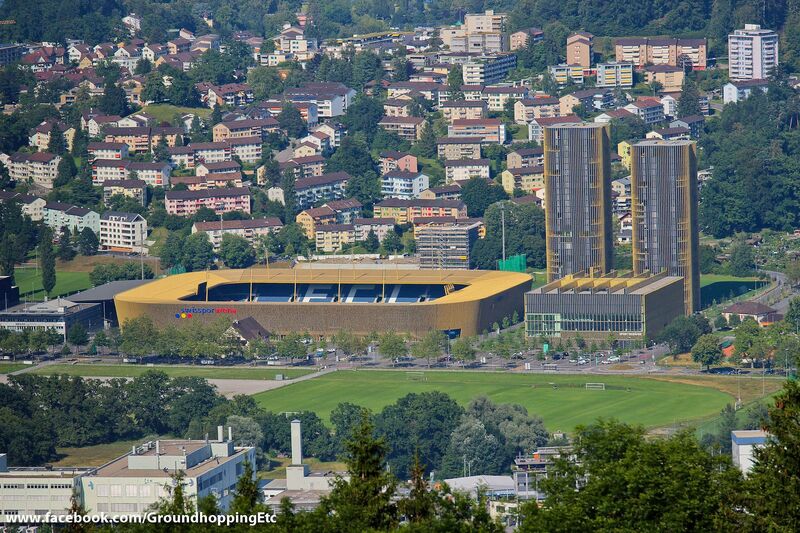 Dominating colours are those of the FCL - gold and blue. 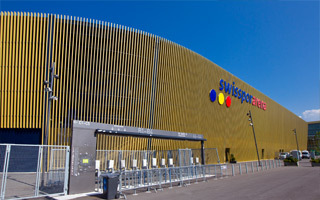 Gold is seen throughout the facades created with vertical baleens. 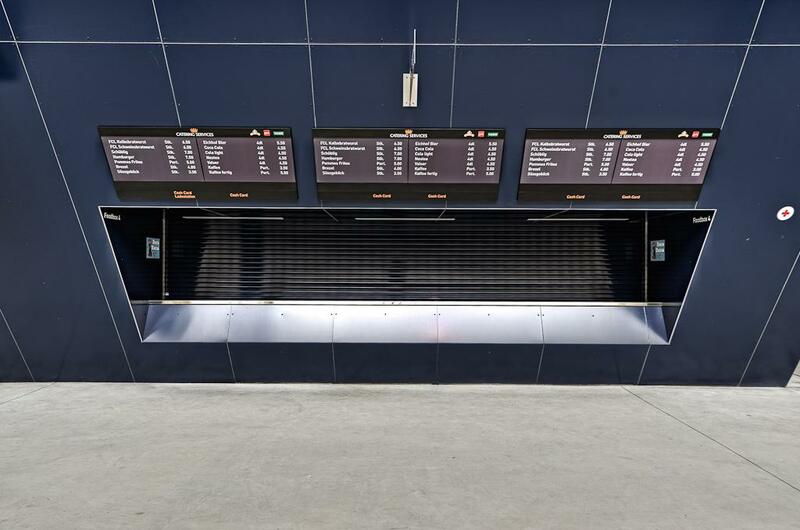 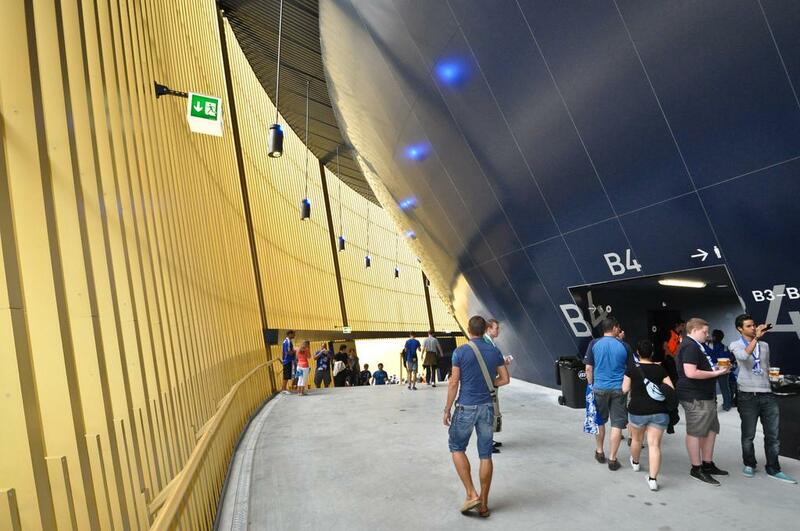 These allow light to get into the promenade surrounding stands which would otherwise be dark, painted mostly in dark blue. 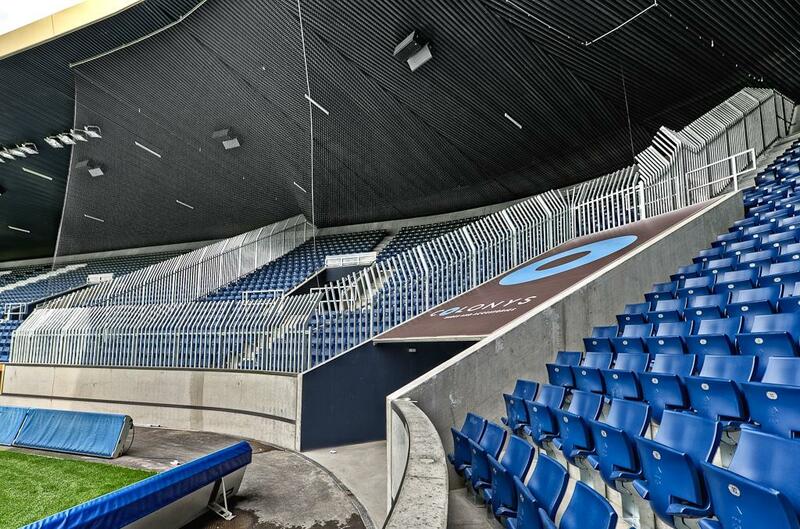 So is the colour of the seats, creating an ellegant impression in this intimate football-specific stadium. 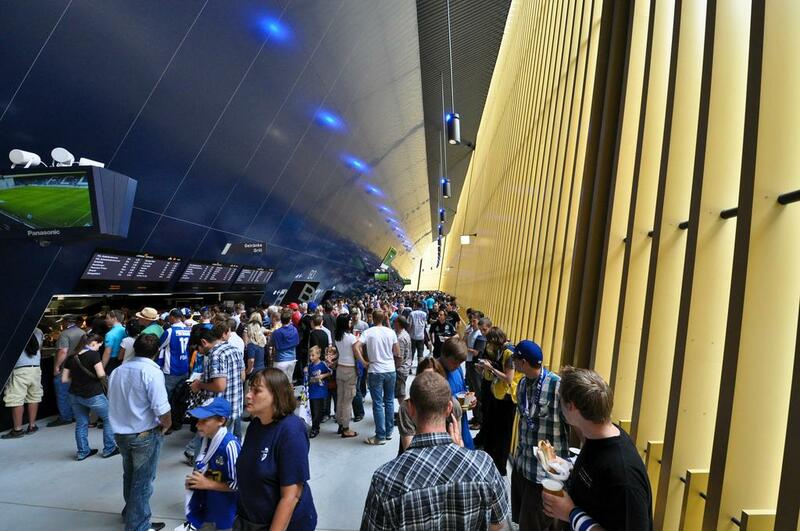 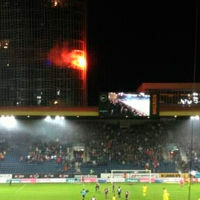 In national games it accommodates 17,500 fans of whom 3,000 stand. 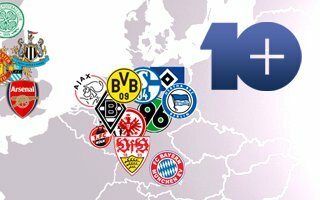 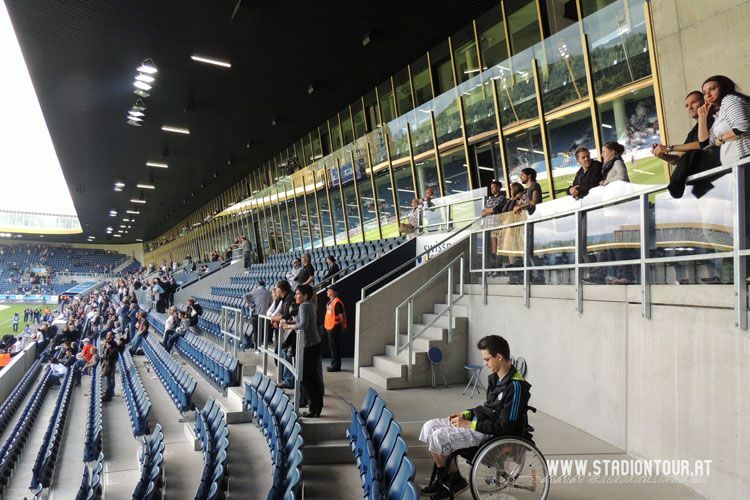 Thus, when UEFA rules apply, terracing is converted into seating and capacity decreases to 16,500. 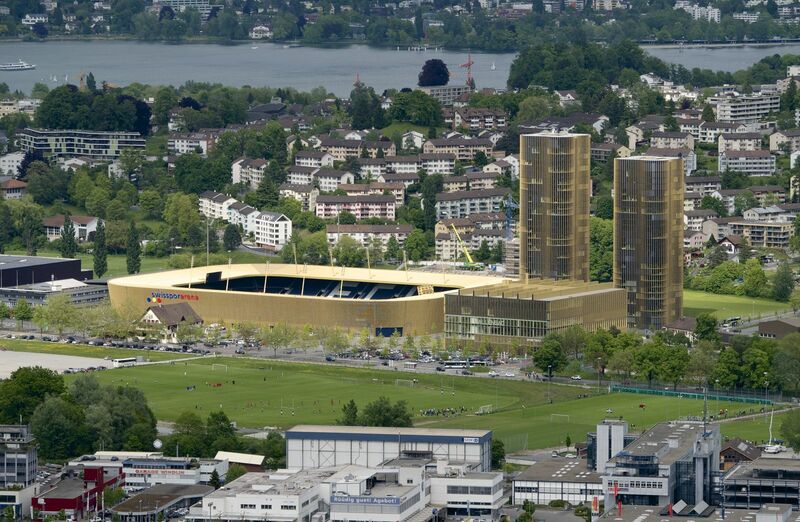 Another Swiss stadium will host a solar power plant on its roof. 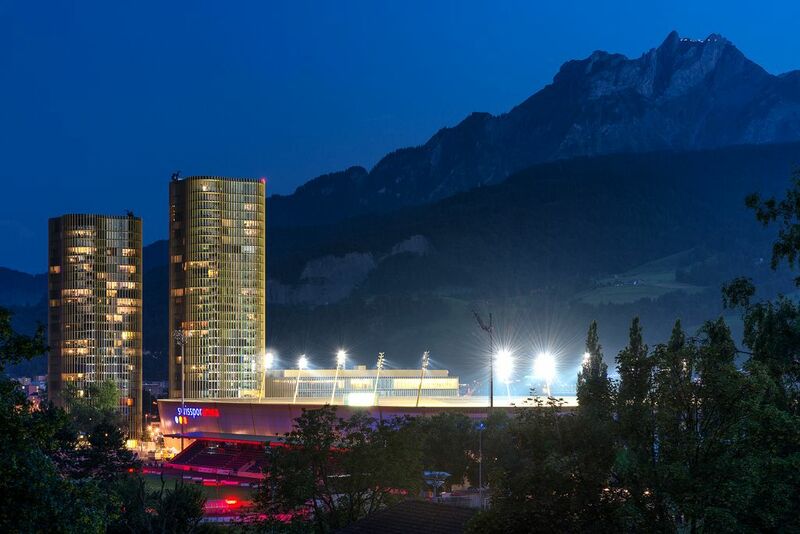 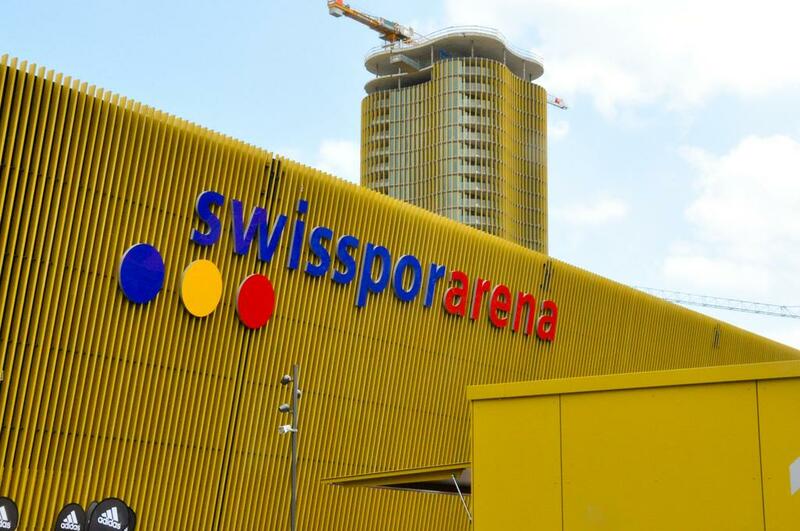 Swissporarena will provide enough clean energy to supply 200 households. 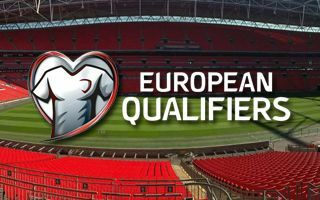 Perhaps surprisingly, the three most-supported national teams during Euro 2016 qualifiers were England, Poland and Germany. 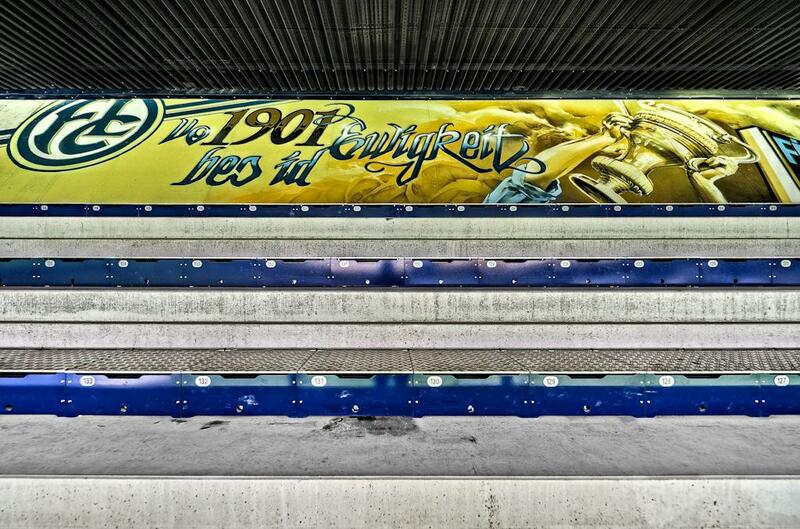 In that order! 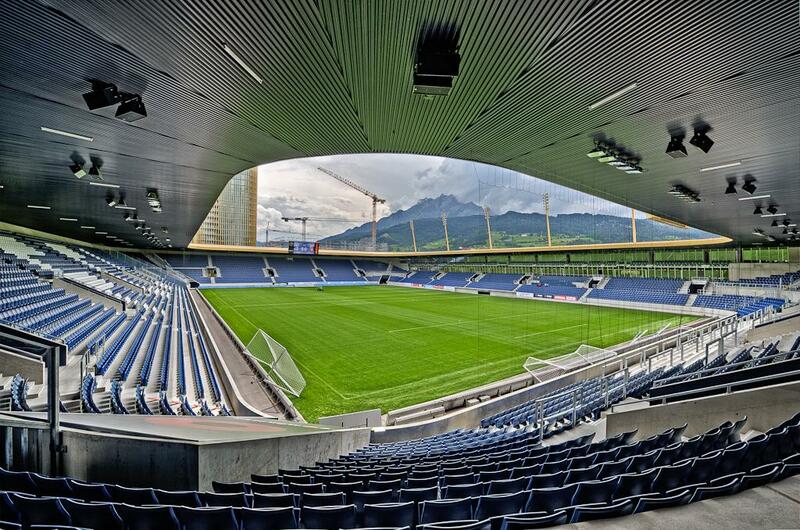 Italy and Spain left well behind, while Austria strived.